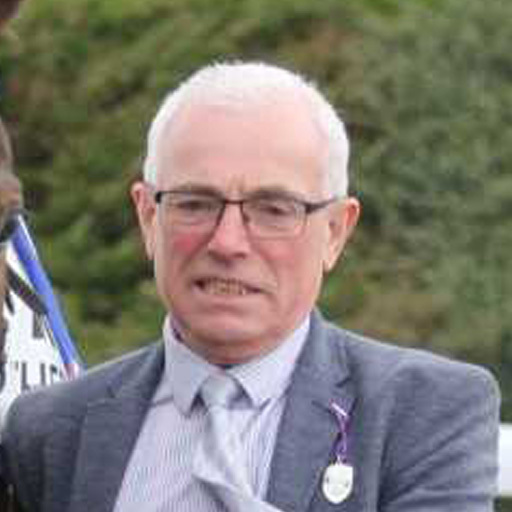 Over forty years in racing and working his way up through the ranks from Stable Lad to Head Lad to Jockey to Trainer has given Andy invaluable experience in every aspect of the care and training of racehorses. He became a Racehorse Trainer in his own right in 2002 and his first season saw him reap eighteen winners and a prize money haul in excess of £100,000. Then, in only his second full season as a racehorse trainer, Andy continued his success with the battling victory of Rylaux in the 2003 Scottish Grand National at Ayr. Anyone who has met Andy will confirm that he's one of the most open and friendly people in racing. Ask him any question about horses or horseracing and you'll get an honest, straightforward answer based on the expertise he's gained over during his extensive career. Andy Crook is a professional and totally dedicated to his work, his enthusiasm is limitless and his passion for racehorses obvious to all. He strives to share that passion with everyone he comes into contact with. "What You See is What You Get" sums him up and assures racehorse owners that both they themselves and their horses will receive the best of care and attention from this honest, hard-working trainer. If you want to have a share in a racehorse yourself, or own one yourself, there several Ownership Options available here at Ashgill Racing. Whatever your budget, £5,000 or £50,000, whether you're an experienced racehorse owner or a complete novice, Andy will work with you and your budget to find you the type of racehorse you want. There are no guarantees in racehorse ownership but with Andy's experience and knowledge on your side, you'll have a much better chance of success. Ben has been here since 2010, when he took over the reins from his father, Patrick Haslam, at the young age of 25. Since then, Ben has sent out over 100 winners from the yard, both Flat and National Hunt. Chris succeeded his father, Tommy ‘Squeak’ Fairhurst in 1994 and is the latest in a long line of trainers at Glasgow House. Chris himself rode more than fifty jump winners before he became a trainer. James started off his career working for the legendary Bruce Hobbs in Newmarket before becoming assistant to Arthur Budgett, where he had a very successful period as assistant trainer, being involved with a great Derby winner in Morston. Jedd O’Keeffe is one of the Yorkshire Dales racing town of Middleham’s established and well respected trainers. Julia’s story with horses began at the age of two and throughout her childhood/teen years she was an accomplished show jumper. Karl was born over the Black Swan pub in Rugby and later moved across town to the Red Lion which his father ran for sixteen years. During his time at the Red Lion Karl gained his first interest in racing through watching it with his dad. Mark Johnston is one of Britain’s leading trainers, having become the first Flat trainer to send out more than 200 winners in a season (2009), a feat which he has, to date, repeated in 2010, 2012, 2013, 2014 and 2015. Micky started training in May 1990 at Tupgill Stables alongside the Low Moor at Middleham, now the Saddle Room restaurant. Richie is an ex-National Hunt Jockey now specialises in Breaking in, Pre-training, Sales Preparation & Recuperation of thoroughbred horses. Sean Regan’s vast knowledge of and experience with racing and racing horses offers a unique opportunity for your horse to go that extra step. Training from Castle Stables, a small, friendly yard with successes in National Hunt racing. Steph Keniry only started training in 2018 and to date has trained five winners with her husband, Barry, an ex-National Hunt Jockey.